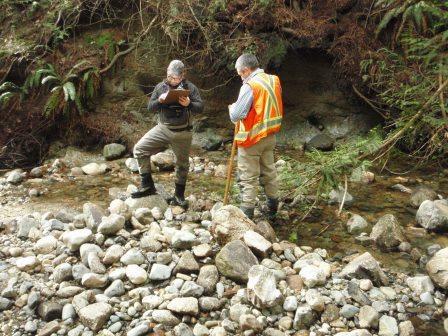 We just completed a Riparian Areas Regulation Methods course in North Vancouver this week. This 3-day course covers the Regulation, the two methods to complete an assessment and a field component illustrating different aspects of an assessment. Our next course will be in Kamloops on April 8-10, 2015. To register, contact the Natural Resources Extension Program at Vancouver Island University.